Hey guys, I am having a problem making texts different sizes in posts. When I highlight the text (to change its size), and click the "font size" tab, it deselects the text and doesn't allow me to change their sizes. Why would you want to make it different sizes? On a side note, I'm finding the quote box really hard to see, and almost wrote my entire post inside it. Any way of making it a different colour/shade? I agree we need to darken it! Minor color tweaks have been made. Better? Better, but I think a tad darker still on the text inside a quote bubble wouldn't be unreasonable. What do others think? Sorry, I think this is the best I can do within the limits of the system. Does tapatalk work on this forum ? Was going to try it for the first time, installed it, hit the link from top of the forum to open.it in tapatalk which then returned a message that I need to reach out to the forum admin regarding its availability.. The quote box looks far better, though I've also just discovered the bbcode tab, which helps me get out of any formatting muddle I may have got myself into! I prefer the new site over CC; not to bash CC at all - I just like the new layout and forum design. I also like signature banners and see no reason to restrict the size to small. I don't have any suggestions, yet, but there's my two cents. New suggestion: Could we somehow create within Merlin's Beard a capability like Bentoft's LCC Scoreboard found here. 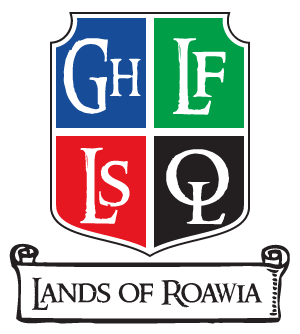 This site features lists of individual builders' MOCs, their factions and points, but what I really like about it is the ability to plot your builds on a map of Roawia, so we gain a great geographic reference to understand our Rowian world better. Also, the MOC fights are cool here and a fun way to kill a few minutes (though I do wish there were size categories so CICs didn't compete with full builds). Any thoughts to this, guys? Yes, I totally agree with you Caelan! I have used the scoreboard as well and it is really nice to see where other builds are located. It brings the LCC to life and you can follow various characters journeys throughout the land. That's a great idea. The map feature is my personal favorite. Maybe we could incorporate it here? I guess we could work together with Bentoft and create a scoreboard in Merlin's Beard, as Caelan said. Similar to this, is it possible for the forum navigation bar to also be on the bottom of the page? For example, I enter this thread and scroll down however many posts to the bottom and I am done. I would like to be able to click "Forum Discussions" to get back to the forum as opposed to scrolling back to the top, now. As it is now, I believe I can go to the next thread through the Actions drop down menu, but I won't even know what the next thread is. I have tried for days now to find a rhythm when working with this board, but it seems I still don't quite understand all the mechanics here. When I start at the main overview I see the new posts symbol in front of a subforum... when I click into the forum, I don't see the [new] tag near any of the threads. I have to find the thread with new posts by looking at the last post column and guess whether the time displayed there is shorter than the last time I visited this subforum. Whether this only happens to threads that are 'hot' or every thread I can not definitely say... but I find it strange, sometimes a subforum displays as new to me, but when I click on it all the latest posts are from yesterday. I am using Chrome 33 on Mac OS X 10.9.2 - is this a browser thing, or is this something specific to me? Has anyone had any similar experiences? Also, I find it strange that you can only "Mark All Boards Read" from the main overview, not inside a subforum. I don't have that problem, Mitah. In fact, I find it very easy to spot new threads. 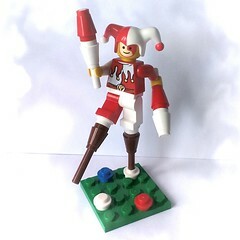 I think we need a "castle customs" forum and a "custom minifigs" forum.